Accelerated Mobile Pages was first come out in October 2015. AMP is a project started by Google along with some other companies like Twitter. Their main aim is to improve the performance of the web pages on mobile devices. The main focus of this project is to provide the web pages that load and execute fast in portable devices like mobiles, tablets, phablets etc and are easy to read and navigate. Google take one step further to increase the experience of mobile users by providing them featured loaded page (contents, images, videos,) which loads instantaneously. These days mobile phones and tablets have changed the way we access information from the web. A normal people spend most of their time on using portable devices rather than PC. Mobile users take the advantages of AMP, it helps to reach thousands of readers around the web. Web Developers have done a huge workout in creating mobile friendly responsive websites and implementing guidelines of Google’s “mobile-friendly” algorithm to get better result in search results. Logically, the industry is now focusing on improving speed, particularly with the sharp rise in mobile device usage. AMP HTML – AMP normally contain an HTML 5 doctype, so it is not much different from normal HTML. AMP JS – Used to load Java script library. How to add AMP pages on the website? 1. 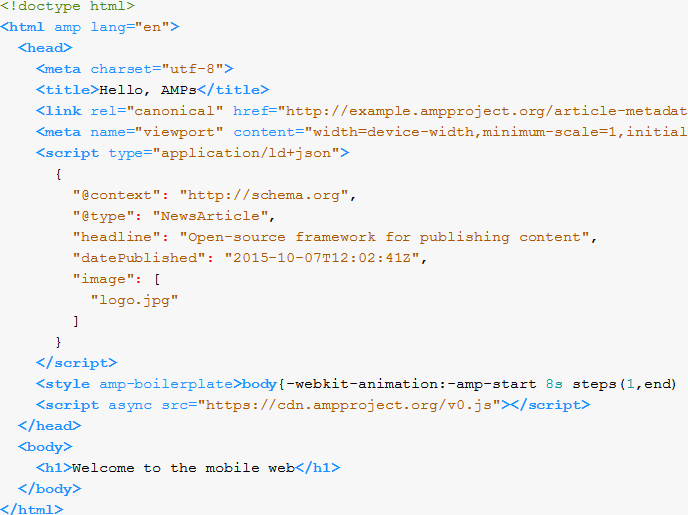 AMP pages must start with the <!doctype html> and contain <html amp> tag. 2 It may also contain <HEAD> and <BODY> tags. 3. Use <link rel=”canonical” href=”$SOME_URL” /> tag inside the head. 4 Write <meta charset=”utf-8″> tag as the first child of their head tag. 5 Write <meta name=”viewport” content=”width=device-width,minimum-scale=1″> tag inside their head tag. It’s also recommended to include initial-scale=1. 6 Write <script async src=”https://cdn.ampproject.org/v0.js”></script> tag in the end of head to load AMP JS library. 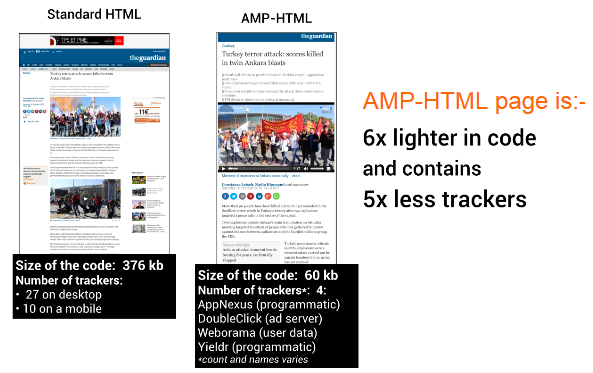 If you run a blog or a news website then make sure your site supports (AMP) Accelerates Mobile Pages. If you are using WordPress CMS then you can use the following plugins. These AMP plugins provide additional advantages when it comes to page performance on small screen devices. Hope, above post will help you to create AMP pages for your website. If you still face any problem you can contact us for the solution.